THIS VERSION IS OUTDATED. Block III is available here. 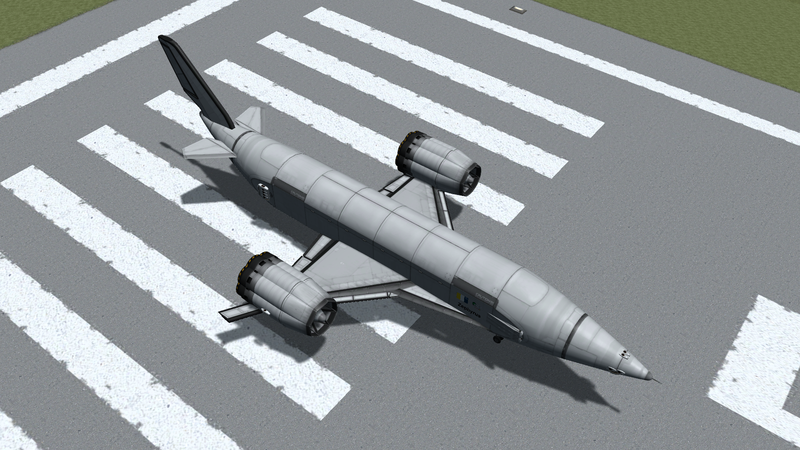 An unmanned SSTO spaceplane capable of lifting 21 tons to LKO. Heavily inspired by Skylon and EJ_SA’s Enterprise. Block II includes some stability improvements with the addition of slats and extra ailerons on the engines. NOTE: Decals are omitted from the KerbalX version of this craft. If you want to put decals on yours, you can get them from the Decal Stickers mod here. KER, Trajectories, and Atmospheric Autopilot are recommended for optimal flight.